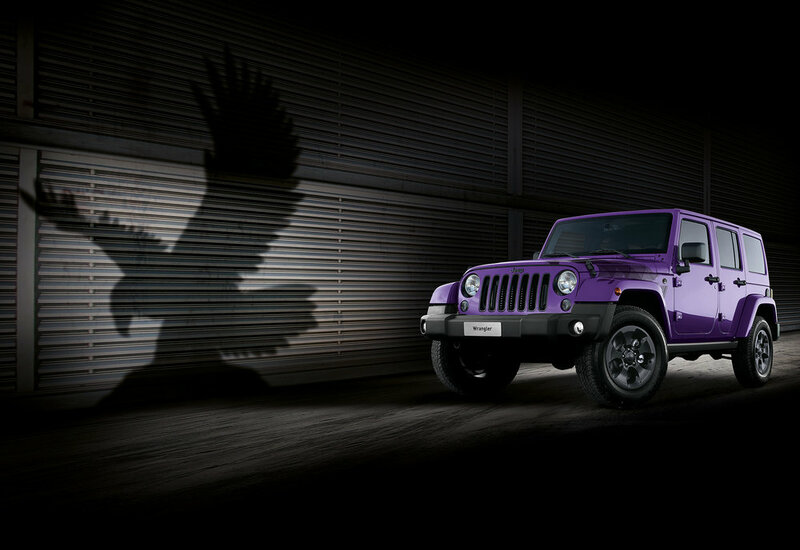 The Jeep Wrangler range is being expanded with the introduction of a new limited edition Night Eagle model. Only 66 examples of this new Night Eagle model are UK bound - all fitted with Jeep’s 2.8-litre CRD 200hp turbo diesel engine paired to a five speed automatic gearbox. The engine offers a 0-62mph time of 10.7 seconds and a top speed of 107mph while returning up to 31.4mpg with a 235g/km CO2 figure. 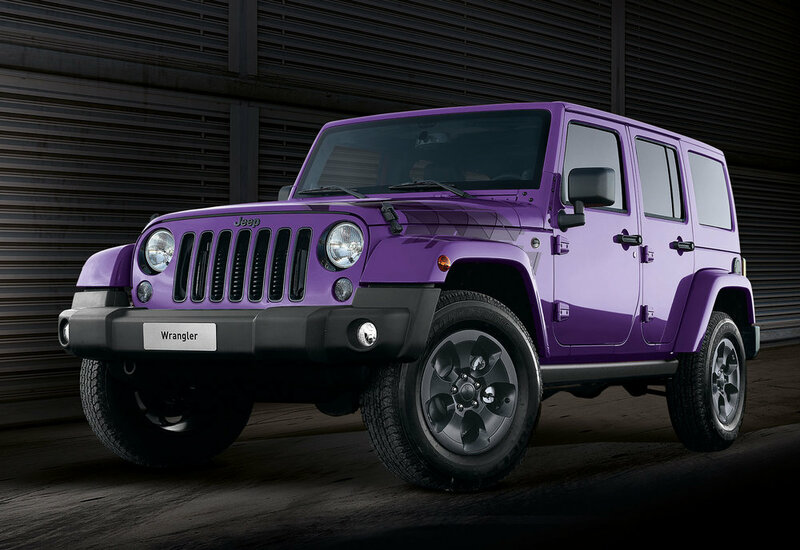 Finished in unique Xtreme Purple, Alpine White or Solid Black paint the Night Eagle receives distinctive decals on the bonnet and rear quarter panels, 18-inch mid-gloss black wheels, body-colour grille, mid-gloss black colour accents, headlamp rings and Jeep badge, body colour dual top, black fuel filler door, deep tint sunscreen glass and hard spare tyre cover. Off-roading capability is achieved through the standard Command-Trac part-time, two-speed transfer case with a low-range gear ratio. Inside, the new Night Eagle features standard black McKinley leather seats with black sport mesh fabric inserts and a leather-wrapped steering wheel with 'Diesel Gray' accent stitching. A black vinyl-wrapped console lid and front door armrest with Diesel Gray accent stitching, Piano Black grab handle and vent ring bezels, and All-Weather slush mats complete the interior to this special edition model. 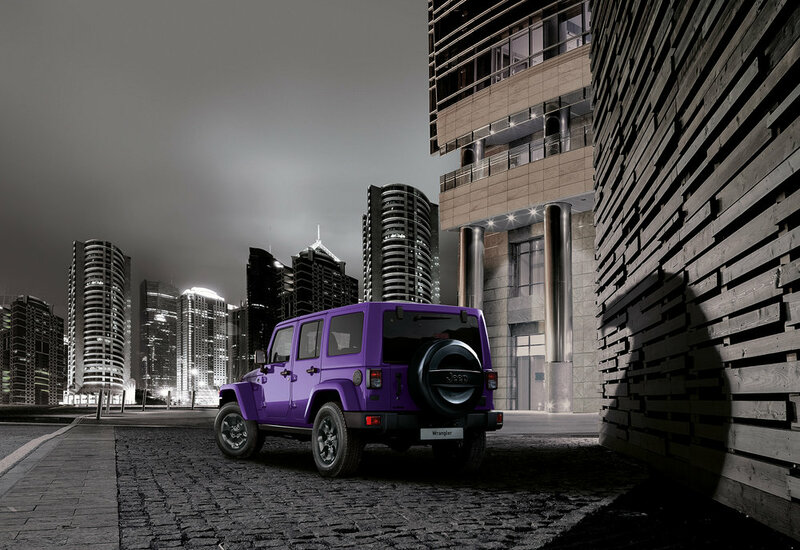 The full standard equipment creates a comfortable, high-tech driving environment, says Jeep, which includes the nine-speaker Alpine Premium Audio System with subwoofer and the Uconnect Navigation system with CD/DVD/MP3, 6.5-inches touchscreen, AUX and USB ports.